Drew Shonka has been taking beautiful photographs for much of his life, but after completing his tenure as a Waldorf teacher in 2012, he decided to dedicate his full-time work to the craft. With a keen eye, tender heart, and willingness to take time to listen deeply to the subjects of his work —be they plant, animal or human—Drew deftly captures the essence and elegance of time and place with remarkable sensitivity. 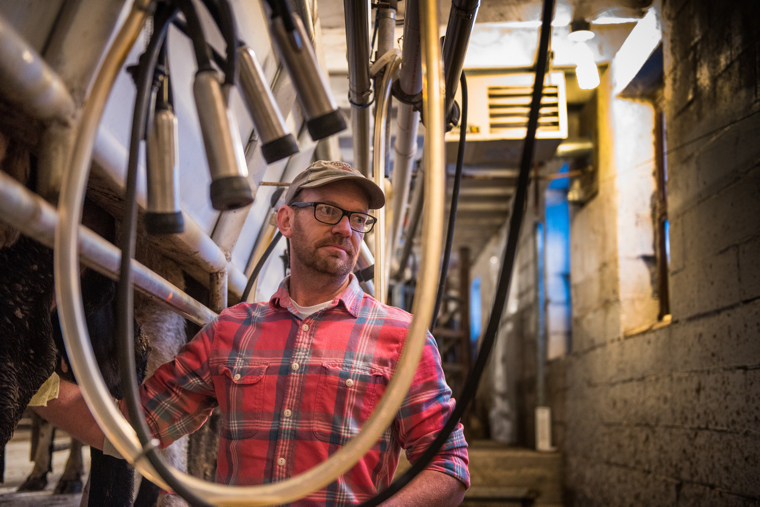 Working out of Viroqua, Wisconsin — the hub of a robust food economy that includes Organic Valley Cooperative, the Viroqua Food Co-op and Kickapoo Coffee and the Driftless Café, — Drew found that many of his jobs were connected to the agricultural world around him. But as he examined the layers of this network more closely, he uncovered a more humble world of exchanges, one that often goes unrecognized in the simple trade of commerce. Bent on telling a more complete story about the region, Drew pointed his lens towards many of the quiet, but no less important projects that contribute to the vitality of the local community. In his newly opened exhibit “On Your Plate” Drew tells a compelling and layered story of food in the Driftless area of Wisconsin. With the recognition that it takes many kinds of work and a lively spirit of cooperation to maintain a healthy system, Drew’s collection showcases a wide variety of players in local food scene with affection and tenderness, opening our eyes to the humble ballast in addition to the star players. With keen attention to detail and spirit, his work brings dozens of understated efforts that, while they may not garner the attention of their more visible counterparts, are vitally important to the health of the region. His exhibit is on display at the Driftless Café in Viroqua through November 2017. Justin Eggen raises keeps thirty-four dairy cows on the farm where he grew up, in Westby, Wisconsin. He and his father Dave have been CROPP (Coulee Region Organic Produce Pool) members since 2008. Their milk is sold under CROPP’s brand Organic Valley. 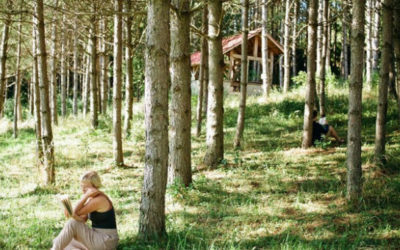 First generation farmers Jillian and Adam Varney have surrounded themselves with old and new friends, having a Worker Share program on their 300+ member organic Community Supported Agriculture farm. On any given day you’ll find the founding Varney family, their regular crew of workers, and a few helpers, putting the food on their own table by helping put it on the tables of others. 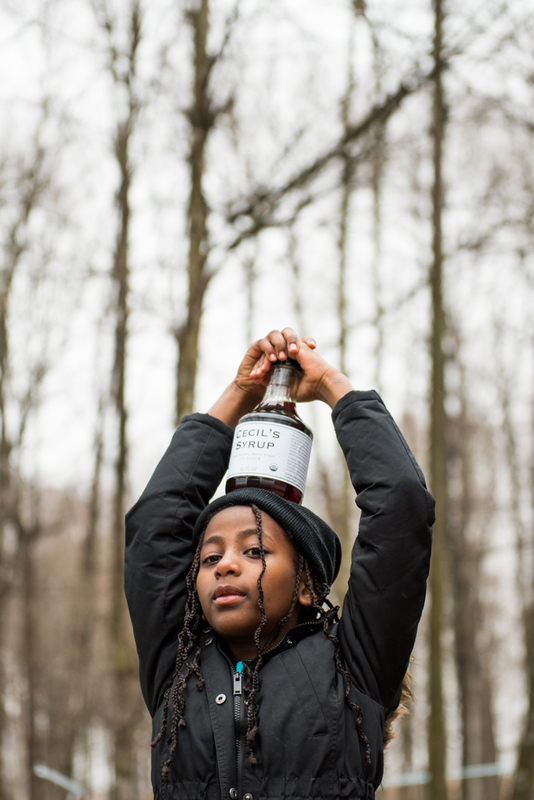 What do you call someone who collects sap from the maple trees on a 20-acre hillside, and boils it down to syrup every spring, yielding a few gallons, or even a barrel? You might call that farmer a hobbyist, until he signs on with Maple Valley. Then he’d be a co-op member, literally pooling his sap with that of other farmers, and making the syrup that’s available in over 1000 outlets all over the USA. 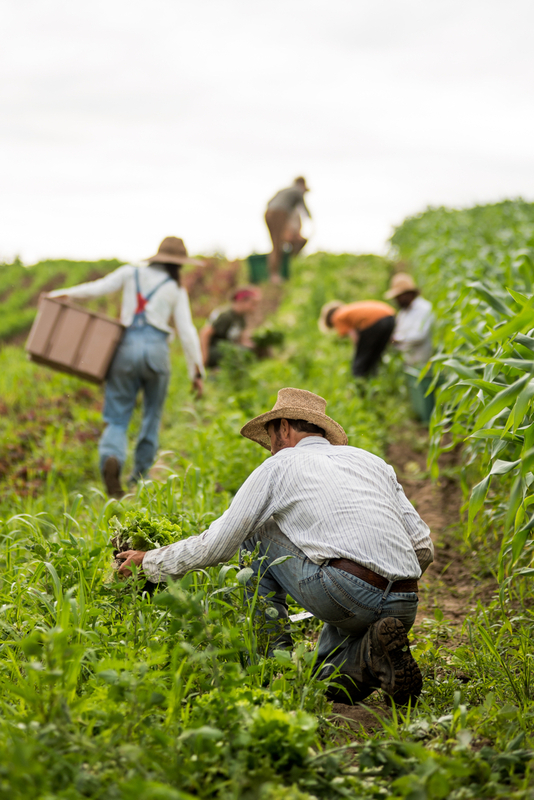 Being in a cooperative makes it possible for small producers to enter the market. Maple Valley Cooperative is based in Cashton, but their farmer-members hail from all over Wisconsin, the Great Lakes region, and as far as Appalachia. Youth Initiative High School senior Charlie Townsley (right), photographed with his brother Arlo, inside his senior project. 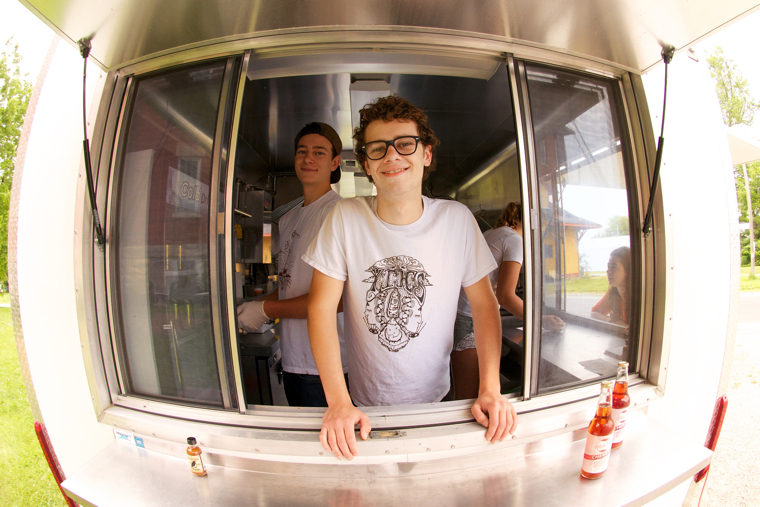 Townsley created a business plan, and then a business: Food For Thought Food Truck, a mobile kitchen that sources local ingredients and nourishes crowds at festivals, fairs, and private events. Sponsored by Organic Valley, it also raises funds for his school (Youth Initiative High School) and provides his classmates (like Arlo) with hands-on business learning opportunities. Food in the Viroqua area moves along a continuum, it seems, and often makes many stops on the way to the plate. The Vernon Economic Development Association (VEDA) operates in the Food Enterprise Center (FEC) on North Main Street. One VEDA program is called Community Hunger Solutions (CHS). FEC tenant Fifth Season Cooperative receives produce from area farmers for processing and sale and distribution. Some of that produce goes through the CHS to area food shelves. This produce, along with surplus Saturday farmers market produce, is trucked to Peace Lutheran Church in Readstown. Sisters Elena (left) and Tanisha Messer staff the pantry every Saturday afternoon at Peace. 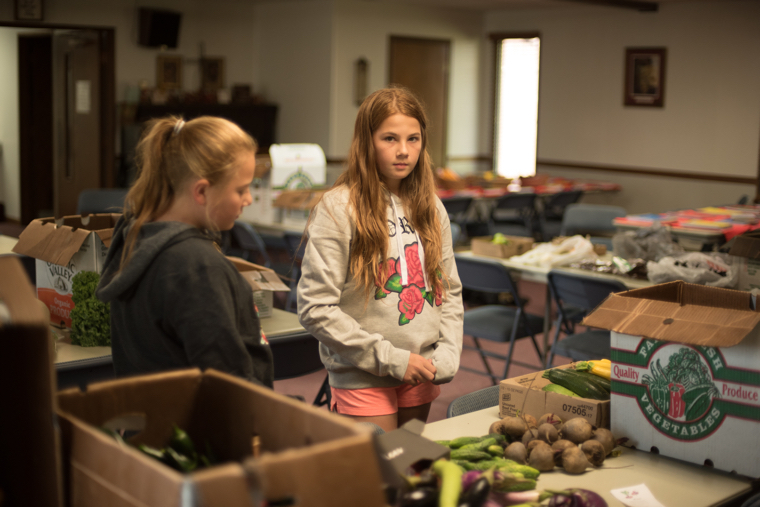 When Readstown residents are unable to leave their homes to come to the church, the girls box it up and send it with other volunteers to be delivered. 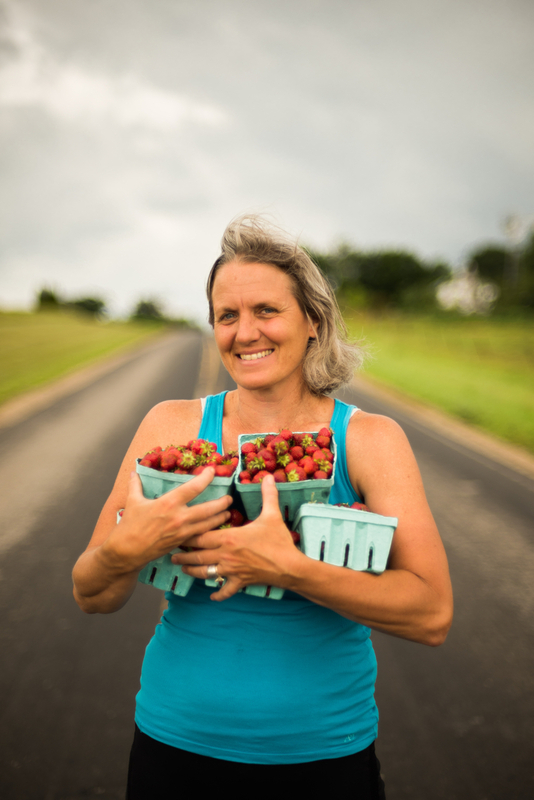 Not a business, but a good friend: Paula Grenier helps her Amish neighbors sell and deliver 1600 quarts of organic strawberries to local residents every June. (She does it again for raspberries in August.) Lacking an efficient way to market their fruit, the Gingerich family was delighted when Paula offered to drive the flats to a pick up point in town. At $3 per quart, everybody wins, and everybody eats well. “I know I’m right!,” is how Paul Detloff, DVM, explains his profusely enthusiastic style. 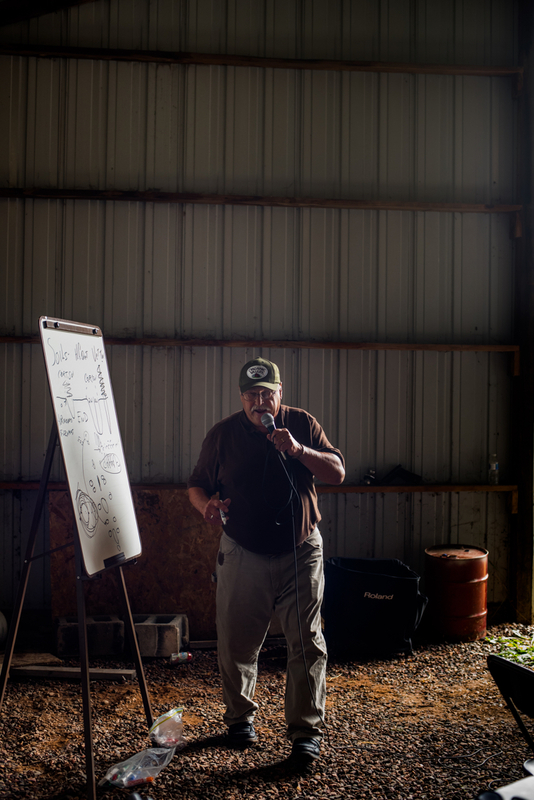 As a wholistic veterinarian, Paul educates farmers and peers about wholistic animal care. 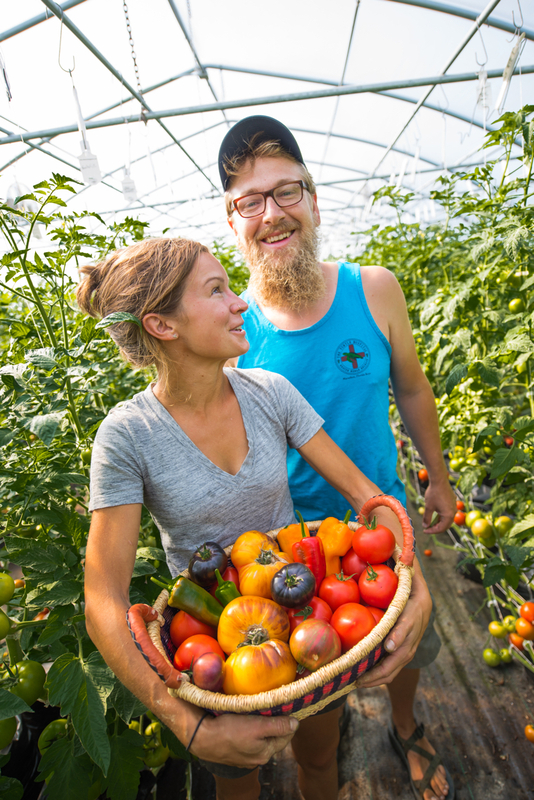 “The ONLY time of year you can eat truly delicious tomatoes is August and September.” This was true until Tiffany Cade and Jimmy Fackert started Deep Rooted, a MOSA-certified farm and greenhouse in Westby, Wisconsin. Using traditional farming practices and modern technologies they defy this one law of nature, and produce mouth-watering, vine-ripened tomatoes from May to October. 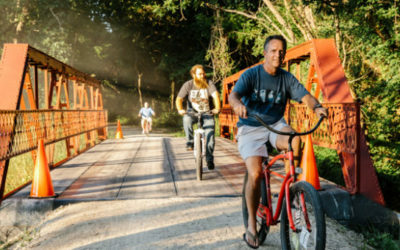 They cap off their high season with their annual Tasty Tomato Festival, featuring their own produce, a taco bar, locally-produced beer and wine, and a screening of Attack of the Killer Tomatoes. Fresh, local, organic food can be difficult to afford. 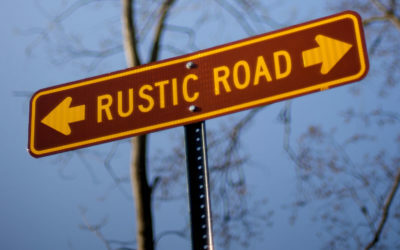 Farmers in the Driftless Region understand this. 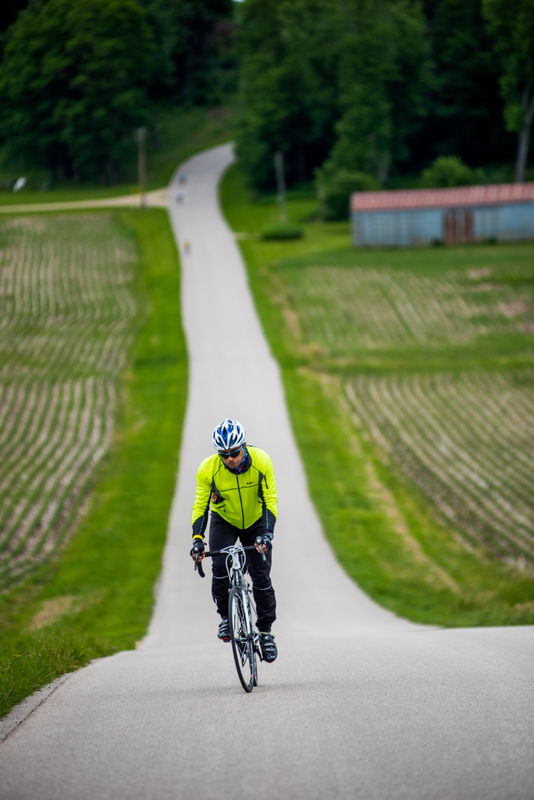 FairShare CSA (Community Supported Agriculture) Coalition coordinates a “Bike the Barns” event in the Driftless each spring. Riders ride, chefs cook, and donors donate to raise funds that make organic produce accessible to people with limited means. 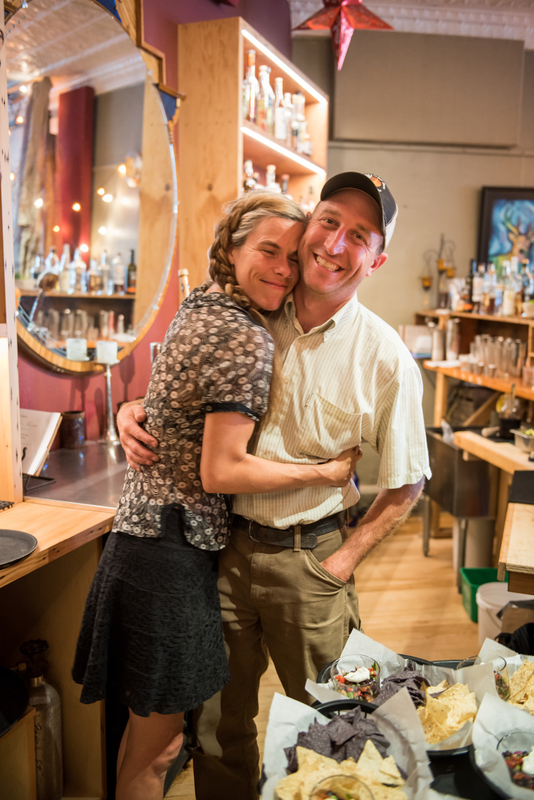 No couple represents the progression of farm to table better than Mike and Dani Lind. Together with brothers Josh and Noah Engel, Mike grows organic vegetables, selling to restaurants and CSA members from Madison to Minneapolis. One of his customers is his wife Dani, owner of the Rooted Spoon — a part-time (Thursday night special dinners, Friday night drinkery, and three-season Sunday brunches) farm to table restaurant. Dani cooks up creative cuisine and brews crafty cocktails, making magic of Mike’s work. Mike also backs her bar, and in his spare time, makes original art inspired by his farming work. Meanwhile, Dani writes food columns for Edible Madison magazine.